This is my first official book review for BookLook Bloggers. I received a free copy of this book to review for the BookLook Bloggers book review bloggers program. I am not required to write a positive review, and the opinions I will express here are my own. 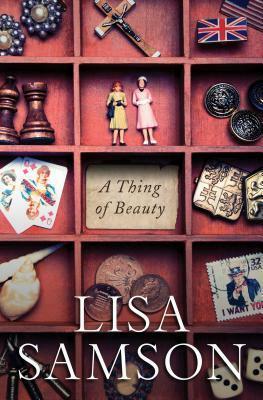 A Thing of Beauty by Lisa Samson is about a young lady named Fiona Hume, known by most people as “Fia”. She was a child star in the acting world. She left the acting world and is trying to figure out what she wants to do now. She has a lot of baggage from things that happened during her life as a child star, and as the daughter of two acting stars, that cause her a lot of emotional pain and mental anguish. Her life seems empty, and yet, she has made some important friendships. This is a work of fiction, and it is the first book that I have ever read by Lisa Samson. This book is definitely different than the books I normally read. At first, it didn’t seem to have much of a plot, but I liked Fia, found her to be unique and quirky, and I wanted to see her achieve some happiness or find meaning in her life, so it kept me reading. The story definitely takes you into Fia’s thoughts and her environment. It is filled with good descriptions. I found the story plot lacking action, but the character was strong and was the focal point of the entire story, so instead of having a plot based on a lot of action and external conflict, the plot was based on the character’s internal conflict, which definitely drew me to wanting to see a change within her. I wanted to see her make good decisions regarding the people in her life, as well as the clutter in her house, and, I think, by the end of the story, the author did a good job of giving me what I wanted. 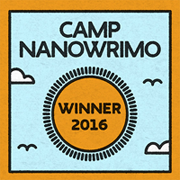 However, I was a bit disappointed when the story ended — not because the story had a bad ending, but because I still wanted more. I wanted to see what would happen to Fia NOW. I would definitely read a sequel if Lisa Samson decided to write one. I would recommend this novel to anyone who struggles with inner turmoil caused by hurts and betrayals of others in your past. I would also recommend this novel to anyone who loves a story with a well-developed character who takes you on an adventure of self-discovery to find importance in her life. Finally, I would recommend this story to anyone who enjoys reading stories about original, quirky, entertaining characters.